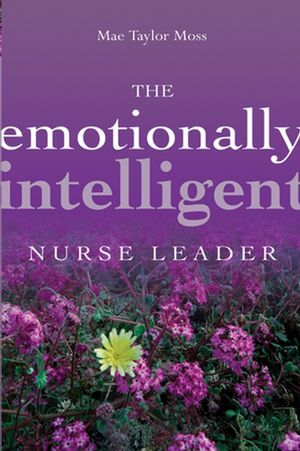 The Emotionally Intelligent Nurse Leader offers nursemanagers, health care leaders, and emerging leaders a useful guidefor identifying, using, and regulating their emotions (emotionalintelligence). As the author clearly demonstrates, harnessing thepower of emotional intelligence can transform the work environmentand the nursing profession as a whole. This important resourcecombines a strong theoretical base with illustrative case examplesand practical insights. Every day, nurse leaders must resolveconflict, form alliances, and coach others in a complicated healthcare environment. Each chapter in this book is designed to helpthese professionals identify, understand, and hone the skills ofemotional intelligence--skills that will bolster the nurseprofessional's ability to lead effectively. The EmotionallyIntelligent Nurse Leader explores how to invent an emotionallysensitive workplace culture, upend the hierarchy--makingleaders more responsive and line employees moreresponsible--and visualize and create an emotionallyintelligent workplace. Mae Taylor Moss, RN, MSN, DHA, FAAN, is vice president of operations at Accordant Health Services, a disease management organization based in Greensboro, North Carolina. She has consulted internationally and written numerous publications on leadership in health care. "Nurse leaders with emotional intelligence are in high demandin today's environment. Mae Taylor Moss has drawn from herwide experience to create this exceptional resource forunderstanding the concepts and practical application of emotionalintelligence for nurses who want to succeed in their challengingroles." "Mae Taylor Moss brings together her firsthand knowledgeof the nursing profession and her considerable knowledge ofemotional intelligence. The result is a book that conveys bothscientific scholarship and practical wisdom for present and futurenurse leaders."